Nintendo Weekly Download 3/16: The Binding of Isaac: Afterbirth+, Monster Hunter, and More! Welcome back to the week of March 16, 2017. Once again, we are here with the fresh batch of new games for Nintendo hardware as well as sales for you to take advantage of. Most notably is The Binding of Isaac: Afterbirth+ and World of Goo (with the addition of two other Tomorrow Corporation games) hitting the Switch eShop today. Fear not if you don’t have a Switch just yet, you can still partake with these Wii U and 3DS offers as well. Check em’ out below. 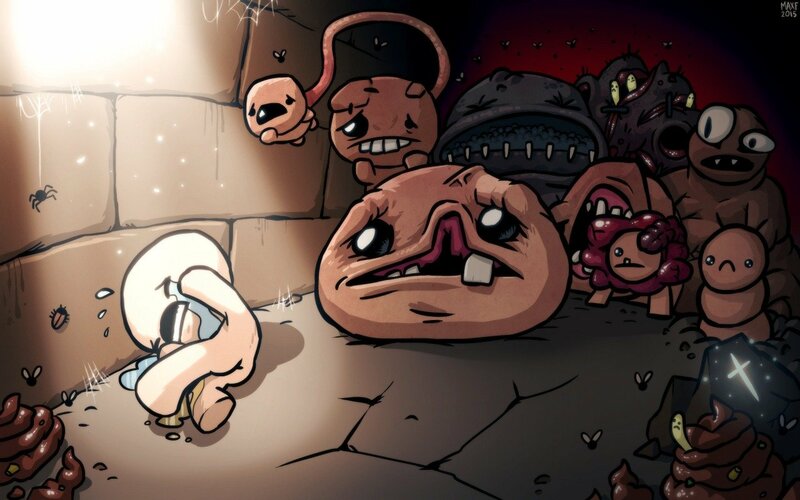 The Binding of Isaac: Afterbirth+ – The Binding of Isaac: Afterbirth+ is a dungeon-crawling shoot-’em-up that’s a different game each and every time you play it. The randomly generated maps are built with more than 11,000 unique room configurations, each populated with a nearly endless variety of enemies, items, challenges and secrets. Human Resource Machine – Human Resource Machine is a puzzle game for nerds. In each level, your boss gives you a job. Automate it by programming your little office worker. If you succeed, you’ll be promoted up to the next level for another year of work in the vast office building. Little Inferno – Multiple nominee in the Independent Games Festival for the Grand Prize, Nuovo Award, and Technical Excellence, with honorable mentions in Best Design and Best Audio. Little Inferno is an adventure game that takes place almost entirely in front of a fireplace – about looking up up up out of the chimney, and the cold world just on the other side of the wall. World of Goo – World of Goo is a physics-based puzzle/construction game. The millions of Goo Balls who live in the beautiful World of Goo don’t know that they are in a game, or that they are extremely delicious. Picross 3D – Track the numbers to uncover the hidden shape in this beloved Nintendo DS classic. Tap a chisel to eliminate blocks you think don’t belong or use a paintbrush to mark ones you think should stay. Beginners and Picross series veterans alike will love this puzzle game that’s easy to pick up, but hard to put down. All Monster Hunter games on Nintendo 3DS and Wii U are now up to 66 percent off until 8:59 a.m. PT on March 22. Join the hunt today! Check out the full list of deals on Nintendo 3DS and Wii U available this week at http://www.nintendo.com/games/sales-and-deals.